With the Tampa Bay Lightning’s victory Saturday, the team finished with 62 wins, tying the 1995-96 Detroit Red Wings for the NHL record for wins in a season. The team’s 128 points will go down as the fourth-best number of points by a team, four points shy of the 1976-77 Montreal Canadiens, who continue to hold the top spot. Sticking with Tampa Bay, CapFriendly reports that with some serious cap concerns coming up this off-season, they don’t have anything to worry about when it comes to bonus overages. The Lightning are expected to have some real cap issues with eight restricted free agents and 11 unrestricted free agents, centered around negotiations with center Brayden Point. However, with no major bonuses coming to their young players that could push them over the salary cap this season, the team will have their entire cap space to use on free agents. The Montreal Canadiens lost a depth forward on waivers today when Kenny Agostino was claimed by the New Jersey Devils, but have acquired another. 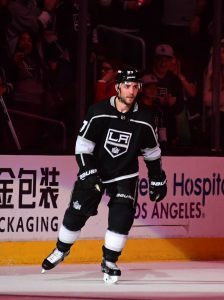 Montreal has traded a 2019 fourth-round pick (CGY) for Los Angeles Kings center Nate Thompson and a 2019 fifth-round pick (ARI). Thompson, 34, represents a veteran addition for the Canadiens who have surprised many in their hunt for the playoffs this season. The young, speedy team is in a battle with the Toronto Maple Leafs and Boston Bruins in the Atlantic Division and could very well meet one of those teams in the first round. 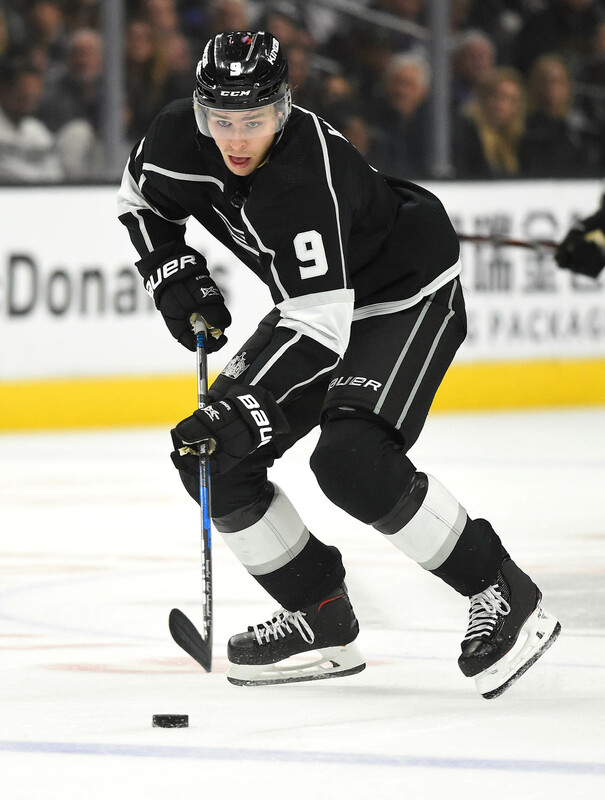 Thompson, while not nearly as quick as some of his new Montreal teammates, is a reliable defensive center who is excellent in the faceoff circle and has 62 playoff games under his belt. The cost for the Canadiens is almost nothing, given that the difference in draft picks is likely just a handful of spots once the standings are finalized. Instead they’ll take the rest of Thompson’s $1.65MM annual salary off the Kings’ hands. Montreal, who came into the season with plenty of cap space, can basically add whoever they want at the deadline to help their playoff chances this year. Thompson will only take up a small amount of their deadline cap room, but he will force them to make another roster move to open a spot. The team recalled Dale Weise earlier today giving them a full 23-man roster, meaning there will be someone else on waivers tomorrow. CapFriendly believes that player will be Michael Chaput, though there has not yet been any confirmation from the team. For the Kings, Thompson was always expected to be dealt before the deadline given his status as a pending unrestricted free agent. The team now has just two rental options remaining on the NHL roster, Carl Hagelin and Oscar Fantenberg. After the trade that sent Dion Phaneuf to the Los Angeles Kings, analysts from around the hockey world weighed in on their thoughts of the trade. 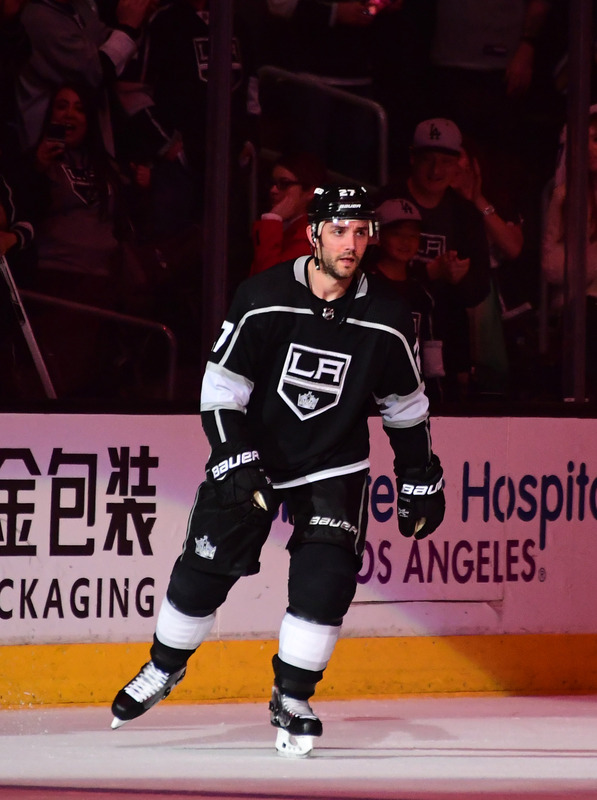 The deal also brought Nate Thompson from Ottawa in exchange for Marian Gaborik and Nick Shore. Here are the thoughts of some scribes around the league. Phaneuf fills a need as a top-four defenseman with leadership and experience. He plays more than 20 minutes per game, in all situations, and he helped Ottawa reach Game 7 of the Eastern Conference finals last season. Phaneuf also turns 33 in April and is signed through 2020-21, but the Kings are banking on some immediate dividends. Garrioch, like many others, looks at the financial ramification of the deal and how the rebuild is on in Ottawa. Naturally, this is a huge deal for the Senators because they get Phaneuf’s cap hit off the books, though it does have to take Gaborik’s contract in return…This is the start of general manager Pierre Dorion’s promise to build the team back to respectability. The Senators had asked Phaneuf to waive his ‘no move’ clause in the summer so they could protect Marc Methot in the expansion draft, but couldn’t get the deal done. The move will give the Senators flexibility with the roster. McGran also examines the financial aspect, indicating that the Sens may end up buying Gaborik’s deal in the end. There is some cash savings, which is important for Ottawa owner Eugene Melnyk: Phaneuf is due $18.5 million in actual salary in the three years after this one. Gaborik is due $10,825. The Senators have to pay 25 per cent of Phaneuf’s salary, or $4.6 million. So they’re up to $15.4 million, a savings of $3.1 million (plus another half million for the remainder of this year) when comparing Phaneuf to Gaborik. (They’ll save on Nate Thompson, but his ultimate replacement will probably come in around the same dollar value.) One thing that makes sense is a buyout. Gaborik would cost less than Phaneuf. A Robidas Island situation is not likely. The Senators aren’t likely to spend to the cap anyway. Mendes sees this as the beginning of sell-offs, and echoes McGran in saying that a buyout of Gaborik’s contract is likely. Based on owner Eugene Melnyk’s recent statement – in which he announced a three-year contract extension for Dorion – it now appears as though the club has a mandate to shed salary and put more of an emphasis on developing younger talent. The Phaneuf deal is likely the first domino to fall, as the club will save north of $5 million in real dollars over the next few seasons. 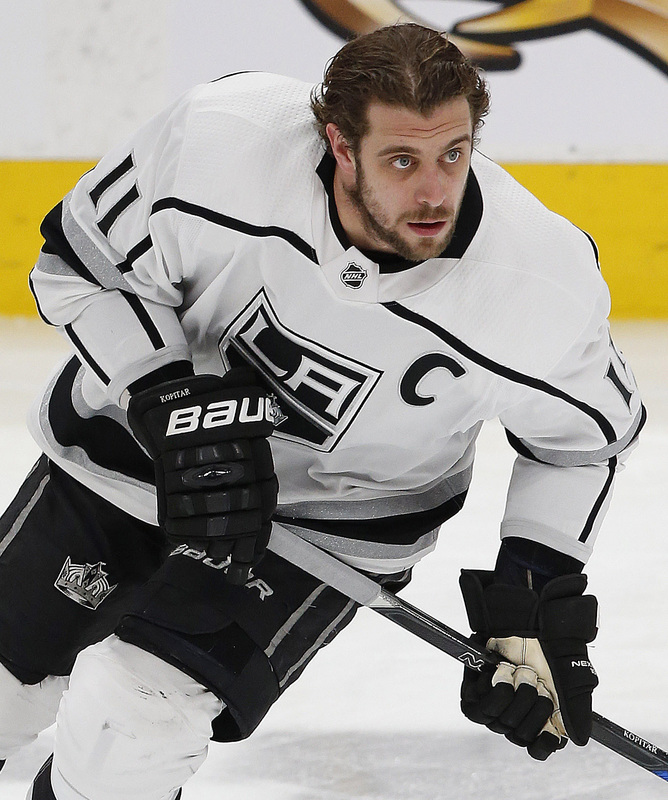 Those savings could increase if the club opts to buy out the contract of Marian Gaborik this summer, although it’s unclear which route they will take at this point. We could get our first clue later this week if the Senators make Gaborik a healthy scratch for their games against Buffalo and the Rangers. There will be plenty of minor moves again today as the NHL prepares for the weekend, and we’ll keep track of them right here. Keep checking back throughout the day to find out if your favorite team has tweaked their roster. The Winnipeg Jets are coming off their bye week, and have recalled Michael Hutchinson and Jack Roslovic. Hutchinson’s recall likely means that Steve Mason is still dealing with the concussion-like symptoms that took him out of the lineup last week, and provides an interesting opportunity for the younger netminder. Hutchinson has dominated the AHL this season and is set to hit unrestricted free agency in the summer. Showing that he’s capable at the NHL level, even in a limited sample, would go a long way to earning him a contract in a few months. Buffalo, fresh off another loss at the hands of the New York Rangers, have recalled Nicholas Baptiste from the Rochester Americans. Baptiste has played four games for the Sabres this season, and has 17 points in 34 games during his time in the AHL. The third-round pick had four points for Buffalo last season, but isn’t expected to make an immediate offensive impact. The New York Islanders have placed Casey Cizikas on injured reserve, recalling Ross Johnston from the minor leagues in the process. Johnston can fill a physical role on the Islanders, as the 6’5″ 236-lbs winger currently leads the AHL in penalty minutes with 113. He does have 11 points through 37 games, but won’t be used for his offensive ability in the NHL. The Calgary Flames are off their bye week, and with that they’ve recalled Marek Hrivik and Andrew Mangiapane from the AHL. The pair were sent down to continue playing, but were always expected to be brought back up when the week break ended. The Flames are back in action tomorrow afternoon against the Winnipeg Jets. Ken Appleby is back up with the New Jersey Devils, this time under emergency conditions. Appleby will likely serve as the backup for Keith Kinkaid tomorrow, while Corey Schneider continues to deal with an injury. Appleby, 22, has now spent time on an ECHL, AHL and NHL roster this season. The Minnesota Wild have recalled Kyle Rau from the AHL ahead of their game tomorrow against the Tampa Bay Lightning. It’s Rau’s first call up of the season, but he does have 33 NHL games under his belt with the Florida Panthers. Rau was signed to a one-year, two-way deal on July 1st, and has 21 points in 36 games for the Iowa Wild. With Jean-Gabriel Pageau and Nate Thompson dealing with injuries for the Ottawa Senators, the club has recalled forward Colin White from the AHL. The Senators take on the Maple Leafs tomorrow night, and needed a twelfth body to line up at forward. White has 16 points in 30 games for the Belleville Senators this season, but is a big part of the Ottawa plan going forward. The first-round pick could get a longer look down the stretch. Erik Karlsson On The Trade Block? Erik Karlsson’s recent comments combined with the Ottawa Senators’ ongoing struggles has created a rumor firestorm that isn’t likely to die down any time soon. The Senators are 1-8-1 in their last ten games and are sinking further and further out of playoff contention this season. Owner Eugene Melnyk is unsurprisingly sensitive right now and Karlsson stating that he would not take a discount to re-sign in Ottawa when his contract expires after next season has rubbed Melnyk the wrong way, according to Sportsnet’s Elliotte Friedman and Nick Kypreos. That does not mean that Karlsson is being traded right away or even that the Senators plan to trade him at all. However, steps are being taken to allow a potential Karlsson trade to happen. Sportsnet reports that the Senators have asked all of their players with modified no-trade clauses – Karlsson, Bobby Ryan, Mike Hoffman, Derick Brassard, Zack Smith, Alexandre Burrows, Nate Thompson, Clarke MacArthur, Dion Phaneuf, and Johnny Oduya – to submit their lists of team they would or would not be traded to, per the terms of each individual clause. For Karlsson, he has a a ten-team no-trade list that will now be on record for the Senators and GM Pierre Dorion, should they choose to make a move. In the opinion of Kypreos, a move should be made and it should be made soon. Karlsson’s market value, the team’s poor performance, and the Senator’s relatively low revenue and unwillingness to spend to the salary cap ceiling all make a Karlsson extension extremely unlikely. Rather than wait until next season for Karlsson to become just a rental player, Kypreos believes that a trade should be made by this summer and the earlier the better. It is hard to imagine Ottawa getting a fair return for arguably the best defenseman in the NHL, but they will surely get a better deal trading Karlsson this season instead of next. Yet, the public relations train for the Senators will keep rolling. No one will make it known that Karlsson is trade bait until an actual deal is finalized. The team has enough issues that they don’t need their best player disgruntled and the locker room in disarray. Karlsson being traded is a real possibility, but you won’t hear it from Melnyk or anyone else in Ottawa any time soon.